Your first visit will consist of: a thorough consultation, exam, nervous system scan, x-rays if needed and a spinal adjustment. On your second visit to our office we will explain all findings from your exam, computerized posture analysis, nervous system scan, x-rays (if taken) and our recommendations for care, including a financial care plan. In simplest terms, a SUB-LUX-ATION (a.k.a. 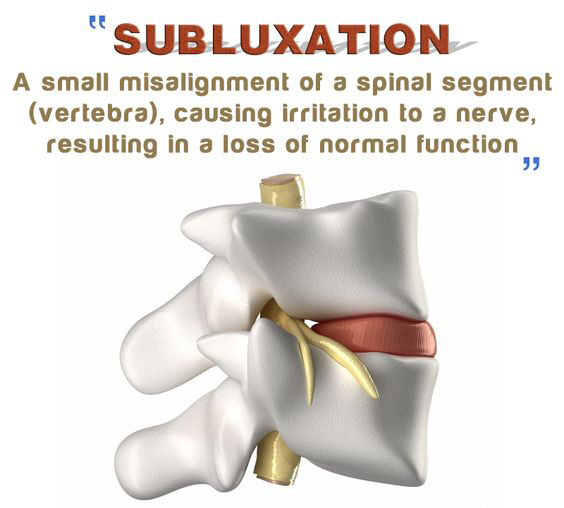 Vertebral Subluxation) is when one or more of the bones of your spine (vertebrae) move out of position and create pressure on, or irritate spinal nerves. Spinal nerves are the nerves that come out from between each of the bones in your spine. This pressure or irritation on the nerves then causes those nerves to malfunction and interfere with the signals traveling over those nerves. The Chemical Component is when all these components of the VSC are acting on your body, and therefore causing some degree of chemical changes. These chemical changes can be slight or massive depending on what parts of your body are affected by your subluxations. This component is often known as biochemicalabnormalities. The doctors at Gorman Chiropractic perform all adjustments by hand or with the activator. The activator is an adjusting instrument that moves the bones very gently with an 8 pound thrust. The adjustments are done quickly and painlessly, with precise accuracy and timing. It is not unusual to feel relief after the very first chiropractic adjustment. Over time, continued adjustments can correct the pinched nerve. The result is improved health, vitality and life. In fact, many patients report they feel better, sleep better - even look better - since starting chiropractic care. Click here for more information on Kids and Chiropractic. Many of the patients at Gorman Chiropractic have discovered that once they get well, regular adjustments will keep them in good health. They bring in their entire family for regular spinal checkups and adjustments. Children, especially, love chiropractic and the successful results obtained by adjusting children have been our most remarkable cases. Special family fees make it affordable for the entire family to stay happy and healthy with chiropractic! 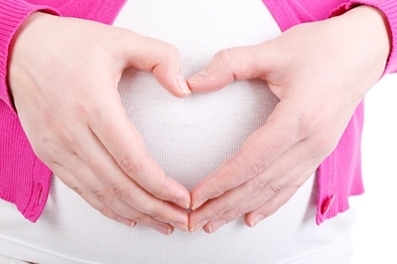 "Chiropractic should be a part of EVERYONE'S prenatal care routine"
Chiropractors work with the body's ability to adapt and function the way it is designed to. Chiropractic care in pregnancy is vital to the normal physiological function of both the mother and baby in pregnancy and birth. Prepares the pelvis for an easier pregnancy and birth by creating a state of balance in pelvic bony structures, muscles and ligament. Reduces interference to the other’s vital nerve system which controls and co-ordinates all of her systems and functions. Pelvis balance allows the baby greater room to develop without restrictions to its forming cranium, spine and other skeletal structures. Offers the baby the room to move into the best possible position for birth. The Webster Technique has been known to help with this procedure. With proper fetal position, there is a significant decrease in dystocia and the resulting birth trauma caused by intervention. I went for my first visit when I was 20 weeks pregnant with a dislocated rib. It was extremely painful. Being pregnant, I couldn’t take pain meds so I started to see the chiropractor. Dr. Sharon has taken care of thousands of patients in her over 20+ year career as a chiropractor and achieved remarkable results, even on those with severe and debilitating health problems. With her experience she only hires the BEST Doctor's of Chiropractic to lead her clinics in both Roswell, GA and East Stroudsburg, PA. "Many patients (and doctors) can't believe the fantastic results we get," says Dr. Sharon, "because the principle and science of chiropractic is so simple! They want it to be more complicated, like medicine, but it isn't." Mike can walk tall and proud! Troy has been adjusted since birth. Angela is thankful for no more migraines! It not only helped me with my ribs but continued to help my ever changing body- helped my hips to widen and deal with my spine for the new weight I was carrying. Now my little Mr. Jackson has arrived and I will return to adjust my ‘new body’ once again and the baby will have his first visit too! That squeezing, compressing trip into the world has to get some things a little out of whack. If you have been transformed by our world class chiropractic care please fill out the form below to spread the word of the FREEDOM that is Chiropractic.